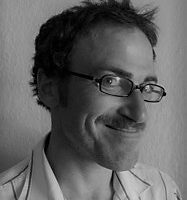 Yoav Shemer-Kunz is a PhD candidate in political science at University of Strasbourg and VU Amsterdam, born in 1978 in West Jerusalem. Since 2008, he lives in Strasbourg, on the French-German border. While the traditional European way of peace-making was based on separating peoples, the Green European way of peace-building should be based on power-sharing and trust-building.